This post is sponsored by LAURA ASHLEY. Pillows are an excellent way to change things up without a big expense. Usually you don’t need a new chair or sofa, you just need a new pillow or throw to change up your look. Just store your off-season pillows in the closet and rotate pillows as the seasons change. Check the Decorating Tips and Tricks Episode on Pillows! I have been buying Laura Ashley products for a long time. Did you have any Laura Ashley fabrics way back when? Well the patterns are all updated now for a very current look. 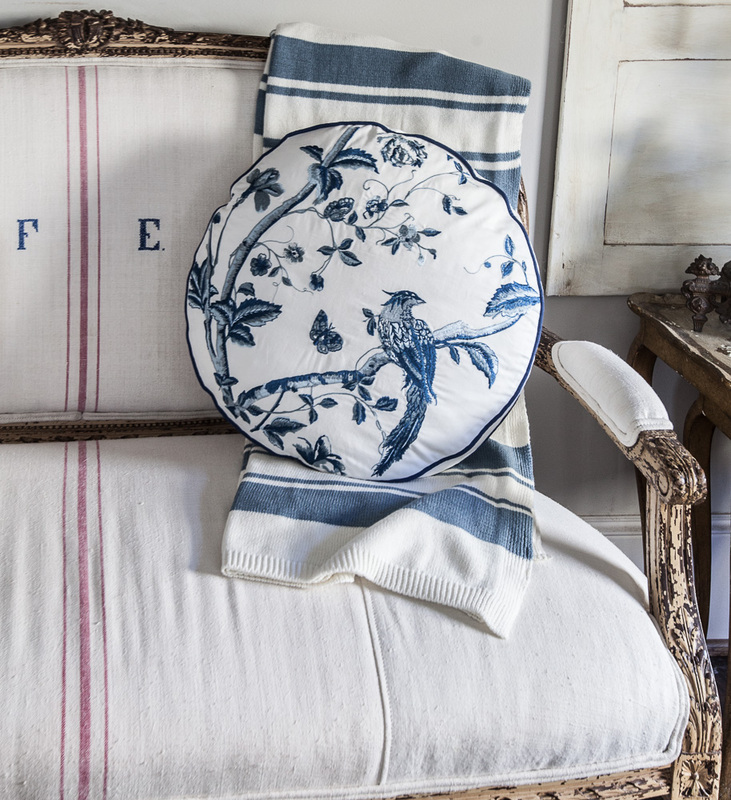 The thing Laura Ashley kept in their patterns is a sense of charm and warmth. 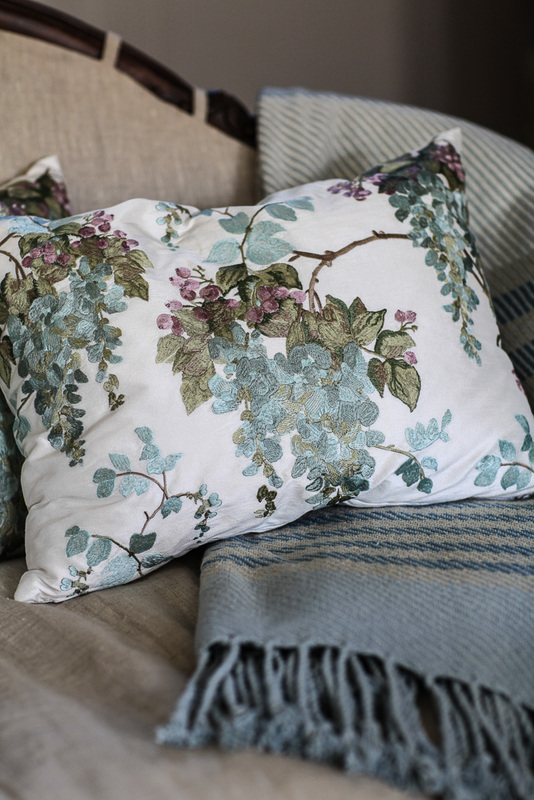 Did you know that LAURA ASHLEY has a blog? They are featuring my photos HERE. This pillow is one of my favorites for spring. I love all of that gorgeous embroidery. It’s so delicate and beautiful. It’s harder and harder to find pillows with this kind of detail. 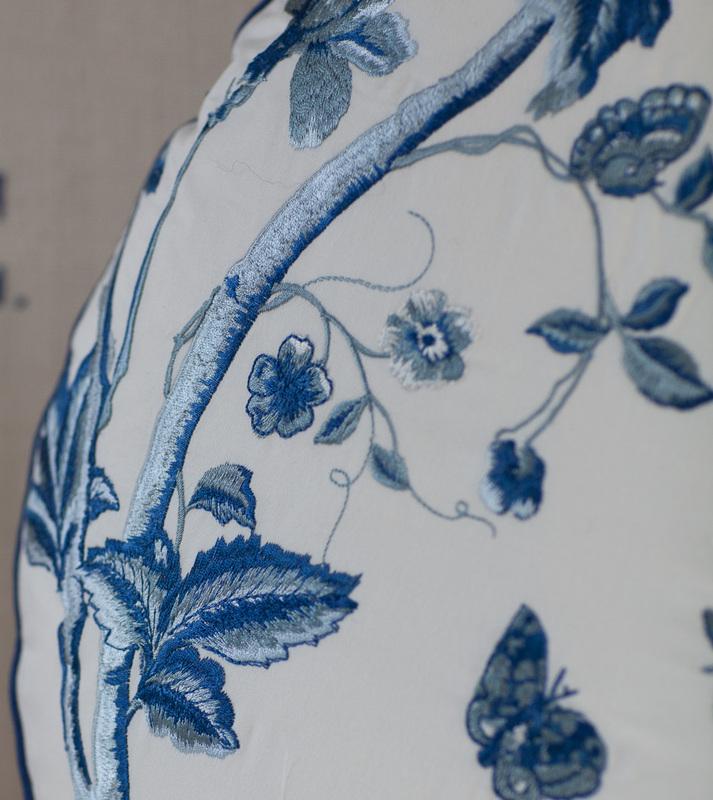 I love this wisteria pattern in the duck egg blue. This pillow is perfect for spring, but you could use it all year round too. I have links to all of the products shown at the end of the post. 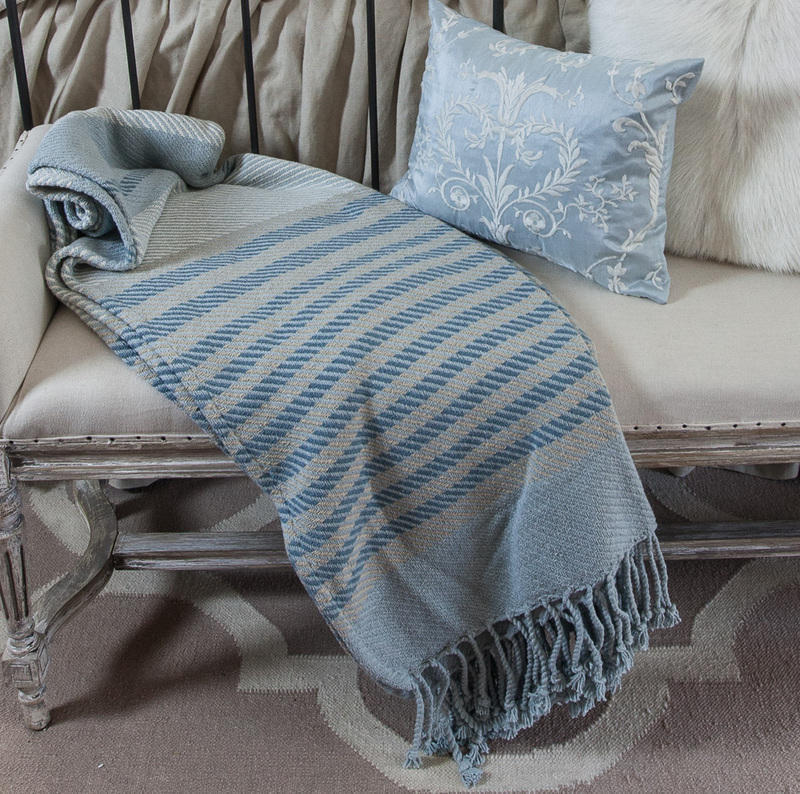 It goes so well with my linens and grainsack fabrics. It’s fun mixing lots of blues together. Here’s the view into my living room from the kitchen. I love the way the pillows welcome you to come sit. 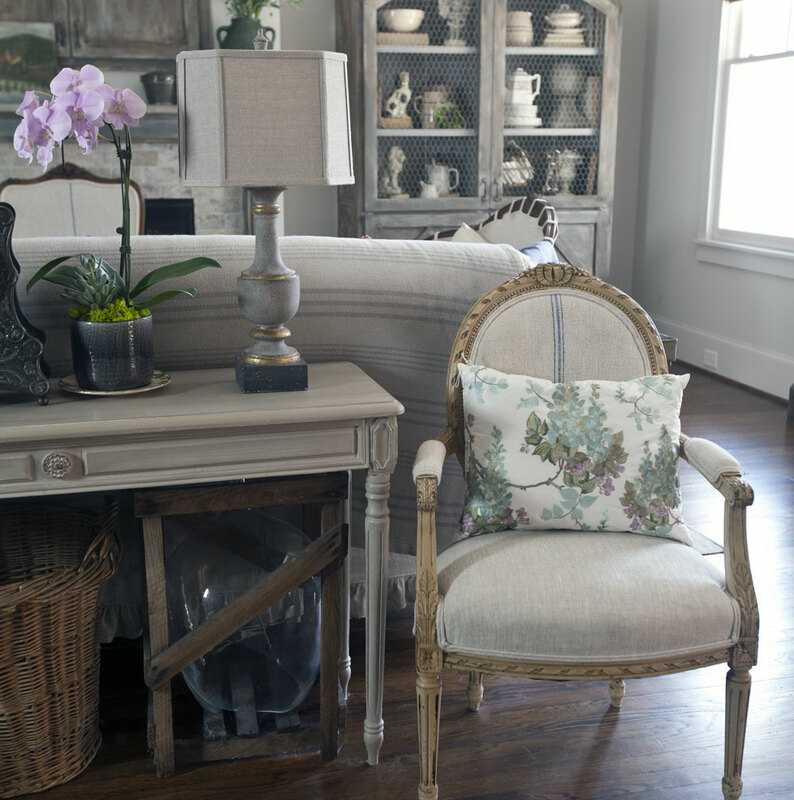 The soft colors work beautifully in a neutral room. Pillows do that, don’t you think? They invite you to come sit down and linger. Upstairs in my bedroom, I’ve got another Laura Ashley embroidered pillow and a textured blue throw. I love to change out my pillows as the season change. Here I’m transitioning from winter to spring. 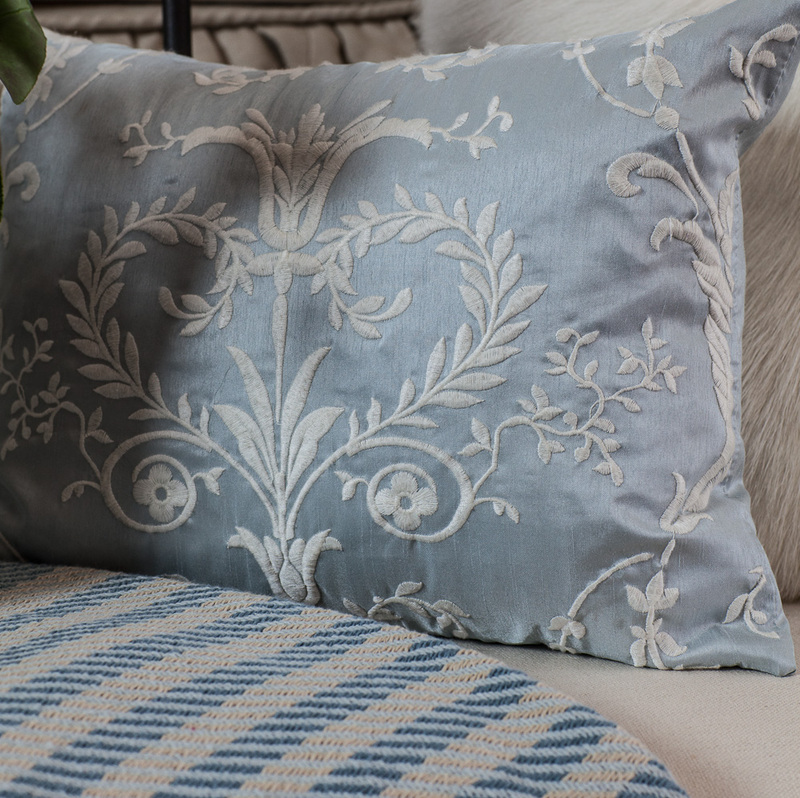 The blue pillow is so elegant with it’s soft blue and gray color. The throw works beautifully with the blue pillow. This is what I call quiet elegance. It doesn’t shout at you, but yet, the pillow is classic and upscale. I really tried to zoom in on the pillow, so you could see the details. 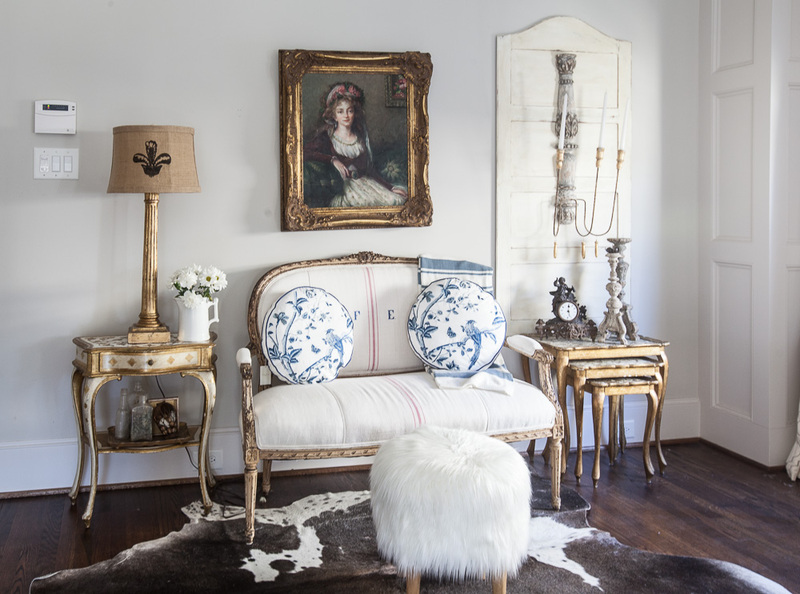 I’m also crazy about these blue and white round pillows, and the matching blue and white throw. These pillows are also embroidered. Are you sensing a pattern? There are several shades of blue embroidery floss used in the design. The quality of these pillows seem amazing. I had no idea Laura Ashley had a blog site. Once upon a time they had a shop I enjoyed visiting and was sad when it closed. I will check the blog out! Thanks for sharing! Yes, they are really lovely in person Cheryl, and very high-end for a reasonable price. Pretty I love the prints. The Blue is so rich looking! Love, love, love that gorgeous living room! Love the change of pillows, but do I detect a new pair of lamps on the sofa table? Ginger, I can’t get anything past you! Those are Aidan Gray. I love them!!!! Wish they were cheaper!! They are lovely pillows. I used to love Laura Ashley fabrics and now will love them again. I love blue & white. Also love Laura Ashley. I love Laura Ashley! I still have a bedding set including pillows, towels, sheets and comforter, which I’m not using now since we have a king bed. I’m inspired to bring it back out to use again in some way. All you shown here is beautiful and I’m going to visit the sites you’ve provided here. Thank you for fresh inspiration! I use to embroidery pillows, but stopped when my puppy decided they were a chew toys. These gorgeous pillows make me want to run to Lauren Ashleys blog. So pretty and fresh. Love them. Those pillows are truly beautiful! 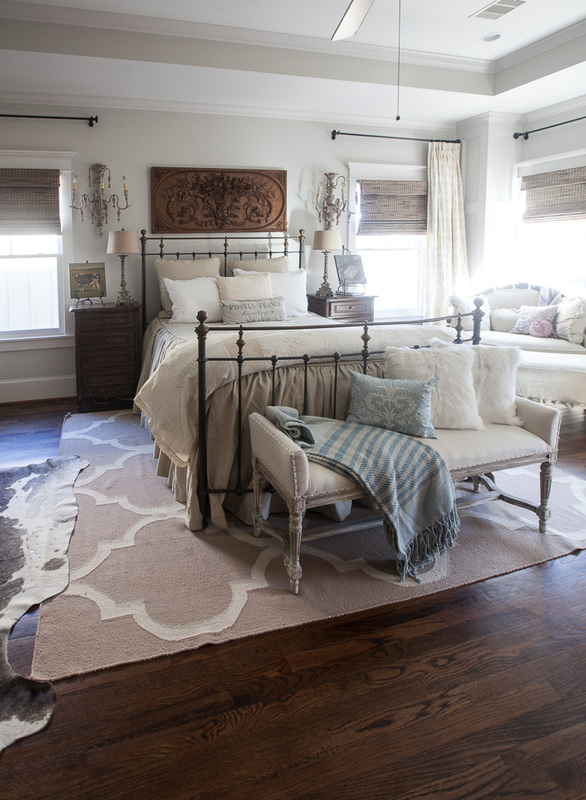 Love the pillows and the throws. You have such talent for putting them together! Thanks for sharing the resources. Great prices for the quality! Those are really beautiful pillows. Thank you for making the Laura Ashley info available. L A is timeless. I have just found some gorgeous 1970s Laura Ashley lights & am doing the chalk paint thing as they have rust. I love the whole bedroom! So peaceful. The pillows are beautiful! Thanks for sharing this, I used to buy Laura Ashley dresses for my nieces when they were little. 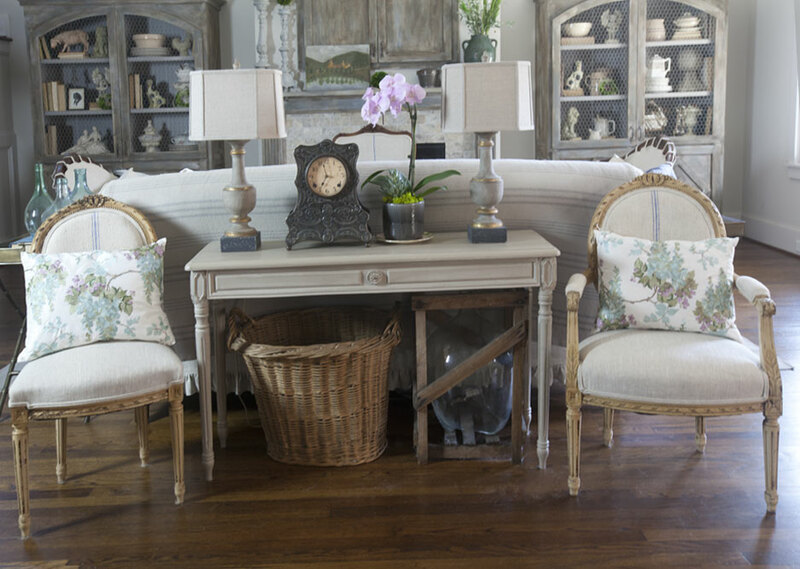 Every now and then Ill see something from Laura Ashley in Marshalls or TJMaxx – I’m going to visit the Laura Ashley site now -you found some beautiful things.